Why is SEO important for your business growth? 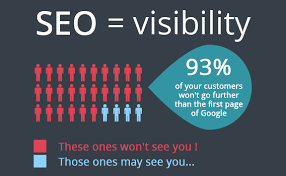 If you are an online business owner, you must have heard about SEO. Maybe you are convinced that it works very well for various kinds of online businesses. The thing you probably wondering about is why it is so important? Well, there are so many reasons to consider SEO if you are an online business owner and I will be getting into that very shortly. But first, for newbies (who are new into this field), let’s take a look at what SEO really is? SEO which stands for Search Engine Optimization is a process of strategically improving and optimizing your web page or website so that it gains higher ranking in search results. Higher ranking leads to more number of impressions and in turn, increases your number of customers/visitors. For people other than geeks, let’s put it in simple words – basically, SEO helps people increase their visitors who are searching for topics related to their content. In a world where the website count has reached to almost 6 per person, if you wish to stand out, you must have a proper plan in place to promote your business. Many people consider SEO as an unnecessary process and here’s an appealing scenario why – so, you have spent a fortune on creating a beautiful website for your business which you like. Now, the consultant calls you and asks you to invest even more money to make it visible on search engine. What would you do? Many people will say ‘NO’. But, Google needs to understand your website in order to give it a suitable position in search results and SEO agencies help you just do that. 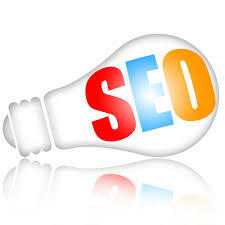 Being a smart business owner, you must have SEO campaign as a part of your marketing plan. Even Google recommends you to have an SEO campaign, that way search engines can understand your site better and it will also increase your visitors through organic search. If you’re thinking about hiring an SEO, the earlier the better. A great time to hire is when you’re considering a site redesign or planning to launch a new site. That way, you and your SEO can ensure that your site is designed to be search engine-friendly from the bottom up. However, a good SEO can also help improve an existing site. SEO is unarguably the best way to connect to your potential customers than any other methods. But, implementing a good SEO strategy isn’t so simple with a lot of recent Google Ranking Algorithm Updates. Still not convinced? Here are some reasons why you should consider SEO as your first priority? Search traffics are usually highly targeted down to minor details. With good SEO campaign and keyword research, you can find how big your market is and What users are searching for. You can drive such highly targeted audience to your website which usually provides high conversion rates. A recent study has shown that the conversion rates from SEO leads are up to 15%, which is higher than any other type of marketing or advertising. That is why having a good SEO company or consultant can make you high returns for every penny you spend on SEO optimization. Here’s an example – Most people go on vacation to other cities or place and they need a place to stay. How would they find a good hotel to stay? By ‘Googling it’. With a good SEO optimization, your site would appear in some of the top results of search pages. If your site is relevant to his/her needs, it is highly likely that he/she would turn into your customer. Gone the era of finding stores and products physically, most people today use search engines to find the stores or products they need. A recent survey showed that almost 86% customers use the Internet to find the local businesses to buy from them offline. Yes, in the stores.